Lisa is the owner and director of Back Bay Speech Therapy and a Speech-Language Pathologist who works with children and adolescents with speech, language, swallowing and literacy disorders. Lisa’s passion for helping others in conjunction with her enthusiasm for working with young children has set the core values and standards of Back Bay Speech Therapy. Lisa finds it so rewarding to assist her clients and their families in achieving their goals while having fun in the process. Lisa has been practicing pediatrics since the start of her career in multiple settings including, acute inpatient, outpatient, and in-home services, working with a variety of congenital and acquired disorders. Lisa holds advanced training in Michelle Garcia Winner’s Social Thinking™ program, and Lindamood Phoneme Sequencing™ Program (LiPS). She is licensed by the state of Massachusetts and New Hampshire and is certified by the American Speech-Language and Hearing Association. Lisa holds a Masters of Science in Speech-Language Pathology from Massachusetts General Hospital Institute of Health Professions as well as a Bachelors of Science in Communications Sciences and Disorders from Emerson College in Boston, MA. Laura is a practicing Speech-Language Pathologist with Back Bay Speech Therapy. She started her career at a public school in Illinois where she provided speech-language treatment for students in Pre-K through 8th grade. Laura also saw clients through a private practice in Chicago. Laura has experience working with children with mild to profound communication delays/disorders, including those with concomitant diagnoses, such as Autism Spectrum Disorder (ASK), attention deficit/hyperactivity disorder (ADHD), Down Syndrome, hearing loss, repaired cleft palate, neurological disorders, sensory processing deficits, learning disorders, and social/emotional disorders. Laura has had a passion for working with children of all ages and abilities since she was a teenager. She is grateful to help children better connect with the world around them through communication. Laura enjoys collaborating with each child’s team (for example, family members, doctors, teachers, other service provides) to insure that treatment address his/her needs in all environments. She infuses humor, silliness, and play into sessions as much as possible to keep children engaged as they learn and grow. 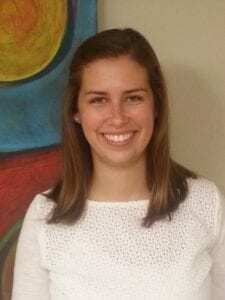 Laura received her Master of Science in Speech, Language, and Learning from Northwestern University in Evanston, IL and completed her Bachelor of Science degree in Psychology with a minor program in Spanish at the University of Illinois in Urban-Champaign, IL. She is licensed by the state of Massachusetts and is certified by the American Speech-Language and Hearing Association. Laura is a practicing Speech-Language Pathologist with Back Bay Speech Therapy. Laura started her career at a private practice in Foxboro, MA, where she continues to see a diverse caseload of primarily pediatric clients. Her experiences include working with children with a variety of diagnoses, including Childhood Apraxia of Speech, Dysarthria, Cleft lip/palate, Autism Spectrum Disorder, expressive/receptive language disorder, dysfluency (stuttering), articulation/phonological disorder, and voice disorder. 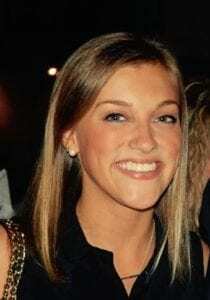 Laura also has experience working in the school and outpatient rehabilitation settings. Laura enjoys working with children and adolescents of all ages and focuses on tailoring therapy to improve each child’s communication skills at home, school and everywhere in-between. She focuses on integrating the goals of family members and teachers so that therapy goals are as functional as possible. Laura also aims to keep therapy sessions fun, dynamic, and engaging for each child. 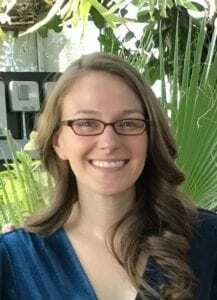 Laura received her Masters of Science in Speech-Language Pathology from Northeastern University in Boston, MA and completed her Bachelors of Science degree in Communication Disorders at the University of Massachusetts Amherst in Amherst, MA. She is licensed by the state of Massachusetts and is certified by the American Speech-Language and Hearing Association. Hannah is a licensed and practicing Speech-Language Pathologist at Back Bay Speech Therapy. Hannah began her career at a private practice in Needham, MA. 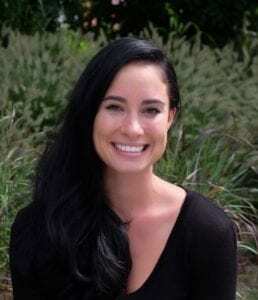 In January 2019, Hannah transferred to a hospital position in the Boston area, where she continues to evaluate and treat a variety of young children, adolescents, and young adults. Hannah has experience working with children with speech and language impairments, Childhood Apraxia of Speech (CAS), cleft lip/palate, and concomitant diagnosis including Autism Spectrum disorder (ASK), attention impairments, Cerebral Palsy, and others. Hannah enjoys evaluation and treating children across age groups and incorporating families and caregivers into the treatment process to ensure a child’s greatest communicative success. She is passionate about providing home exercise programs and training parents and caregivers to assist in the treatment process. Hannah aims to provide therapy that is fun, engaging, and dynamic to address a child’s functional communication needs. Hannah received her Masters of Arts in Speech-Language Pathology from The George Washington University in Washington, D.C. and completed her Bachelors of Science in Speech Pathology and Audiology at Miami University in Oxford, OH. She is licensed by the state of Massachusetts and is certified by the American Speech-Language and Hearing Association. Micayla is a licensed and practicing Speech-Language Pathologist at Back Bay Speech Therapy. Micayla began her career working in the Plymouth, MA public school system where she provided speech and language treatment for students from kindergarten through twelfth grade. Micayla also continues to see clients through a private practice in Plymouth, MA. Micayla has experience provided treatment in the areas of articulation, phonology, fluency, expressive and receptive language, as well as pragmatic language/social skills. Micayla has provided treatment across these areas to clients with concomitant disorders including Autism, Spectrum Disorder (ASD), Attention-Deficit/Hyperactivity Disorder (ADD/ADHD), learning disorders and social/emotional disorders. 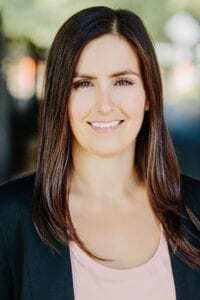 Micayla is passionate about working with children, adolescents and young adults to improve their communication skill set and ability to interact within their homes and community. Micayla creates a positive, patient and motivating environments to help clients achieve their goals. Micayla is also a registered yoga teacher and enjoys incorporating movement into sessions with clients to maximize motivation and participation, as needed. Micayla obtained her Bachelors of Science in Communication Sciences and Disorders, as well as her Masters of Arts in Speech-Language Pathology from the University of Massachusetts Amherst. Micayla holds her Certificate of Clinical Competences from the American Speech-Language and Hearing Association (ASHA), and is licensed to practice in the state of Massachusetts. Karolina is a practicing Speech-Language Pathologist with Back Bay Speech Therapy. After graduating, Karolina gained experience in two different private practice settings at which she provided individual therapy, group therapy, as well as home and school based therapy. She has experience working with children with difficulties in articulation, phonology, expressive and receptive language, pre-literacy skills, fluency and social skills. Karolina has experience implementing the Social Thinking Curriculum as well as Relationship Development Intervention (RDI) strategies for children with Autism Spectrum Disorder. In addition, Karolina is PROMPT trained and has implemented this technique with children with Childhood Apraxia of Speech. She also received training in the Visualizing and Verbalizing Program from Lindamood Bell Learning Processes. Karolina believes in individually tailored therapy and interaction with families and teachers to ensure carryover outside the therapy setting. Originally from Poland, Karolina is fluent in Polish and is passionate about working with families of various cultural backgrounds. Karolina received her Master of Science degree in Speech Language Pathology from Boston University. She also completed her undergraduate work at Boston University and received her Bachelor of Science degree in Speech, Language, and Hearing Sciences. She is licensed by the state of Massachusetts and is certified by the American Speech-Language and Hearing Association.